Фото "Why not 3 Lillies"
Here is another photo of the flowers. The colors just jumped out to me as I walked through the garden. Yes, I agree with you. 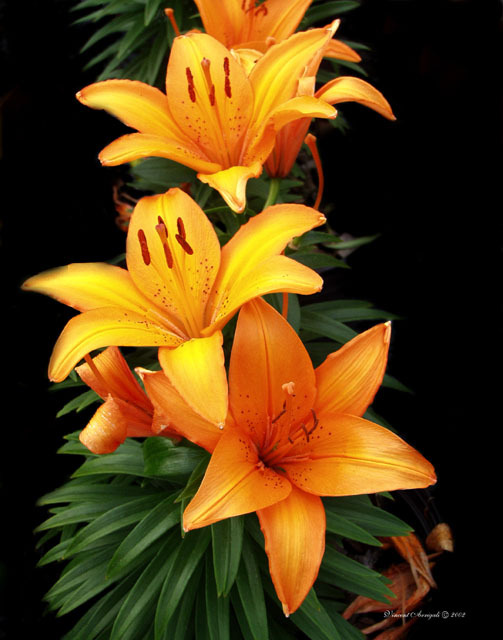 Why not 3 Lillies ? A very beautiful photograph. I love flowers and those ones are very nice. My congratulations, Vincent Arrigali. I wish that I had flowers as beautiful as these in my garden. Glorious colors, composition and detail combine to make this one great shot! beautiful shot and nice colors! Wonderful colors tyhat comes out from the back ground.